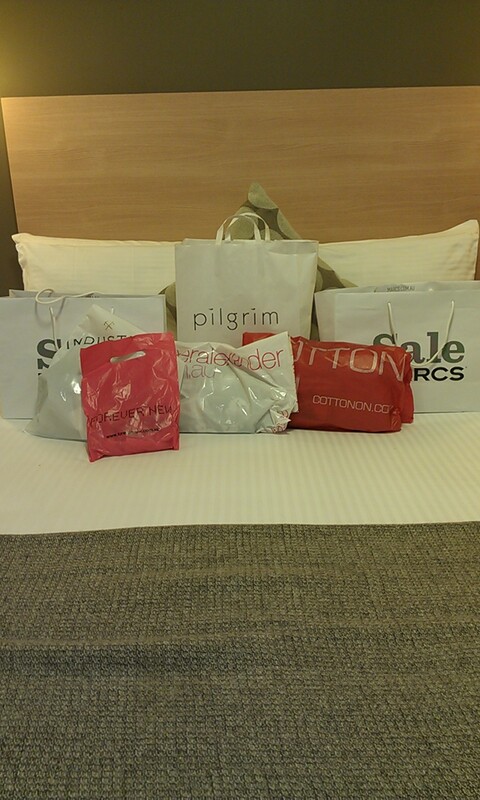 I didn't actually buy that much during the Boxing Day sales but given I wasn't intending on doing ANY shopping I guess I did shop a bit. Tracked down the last size 4 in Melbourne and trekked out to Chapel St to get it. So glad Marcs does a size 4. Shame on you Cue for making huge size 6s and no size 4s. Again, thanks Forever New for making size 4s. Clings nicely but not too tight. Bought for my animal fanatic sister. It's made of merino wool which will keep her nice and warm in winter. Size 6 as Pilgrim hasn't adopted vanity sizing yet, which is nice to see. Long enough that I can wear this skirt to work, but fancy enough that I can wear casually. I love the lace print as it's quite unique, and the way the bottom layer peeks out is really cute. All up I spent $255 when retail for these items was $530 so very happy with myself. It got unexpectedly cold last night in Melbourne so I had to wear the Marcs blazer when we went out for dinner. The only footwear options I had were Havaianas or Dunlop Volleys (for Falls) so I wore thongs with a nice blazer haha. Signing out for now, about to drive down to Lorne. See you next year everyone!! Great shopping Haul (Especially if you weren't planning too!) You must be teeny tiny!!! 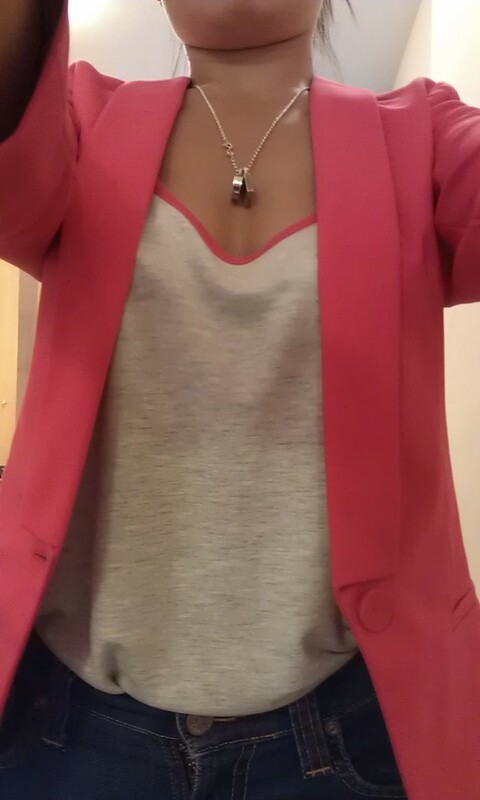 I love the pink blazer.. I want one now! !